Nasty Habit: Cheddar popcorn and lattes. Charissa Hogeland was delighted to be in the Nasty Habits because she thinks Christina de Leon is a genius. A graduate of UCLA’s drama department, Charissa has been seen on stages all over Los Angeles including two shows at the Hollywood Bowl (The Producers, Chicago) The Pasadena Playhouse (Sleepless in Seattle, U/S Annie) and in the For The Record Series (featured in tributes to Baz Luhrmann, John Hughes, and Gary & Penny Marshall). In December of 2014 you can catch her starring in The Truth About You, an upcoming independent feature film. 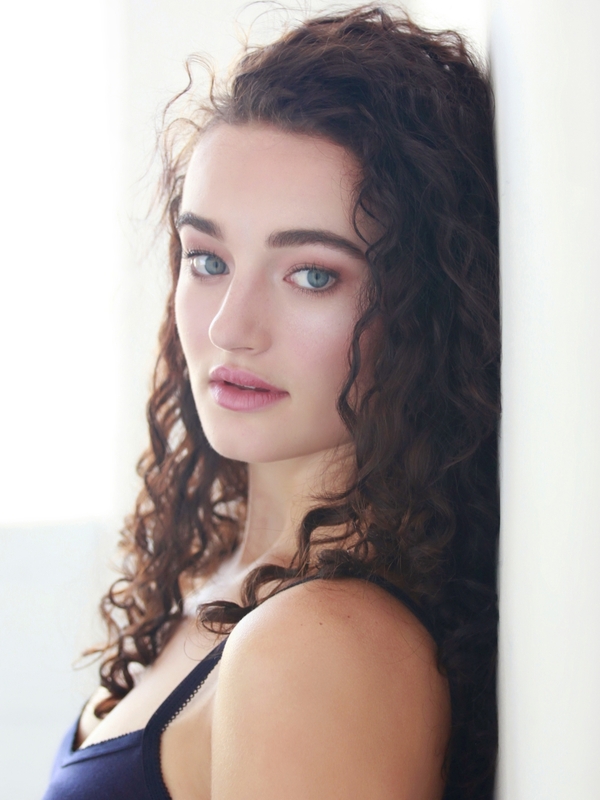 Currently she resides in NYC, where she has been seen as the starring role of Veronica in Heathers: the Musical. Nasty Habit: Splitting split ends and literally keeping up with the Kardashians. Hope Lauren is Originally from New Orleans, Moved to Los Angeles out of high school Nearly three years ago from Austin Texas. She made her Los Angeles theatre debut as Thea in Over The Moon’s production of Spring Awakening and has since appeared as Helena in Lilygroove’s Midsummer Night’s Dream, Chloe on Last Man Standing, Mindy on Nickelodeon’s Sam & Cat and various stages show cases at Anthony Meindl’s Actor’s work shop where she studies acting. She is thrilled to be a part of the Nasty Habits gang and hopes that everyone loves these stories and the messy beautiful Nasty characters that are in them. Nasty Habit: Taking people's food without asking and pretending to have seen films she hasn't seen. Kelly grew up in Detroit, MI and earned her BFA in acting from Michigan State University before moving to Los Angeles. Since then she's appeared in a variety of web series, Indie films, music videos for artists such as Tyler Ward and Luke Conard, and even a tampon commercial! Outside of acting she enjoys binge watching television shows and making videos of her dog in the hopes that they will one day go viral. She's thrilled to be in such great company working on this project. Julian De La Celle was born on June 10, 1996 in Los Angeles, California, USA. He is an actor and producer, known for The Orphan (2008), Oh, You Pretty Things! (2014) and The Fosters (2013). Nasty Habit: Coffee and cigars. Boston born performer, Jim August, is excited to make his return to acting with Nasty Habits. He studied at Emerson College, Groundlings, and with various acting coaches before diving into theatre and stand-up comedy. Nasty Habit: 3 pound bags of gummy bears and orange creamsicle sodas. Mark Collier was born in Boynton Beach, Florida. He is of Choctaw Indian, French and Irish ancestry. His father, a CPA, and his mother, a nurse, eventually moved the family to Ocala, Florida, where he spent most of his childhood. At age 10 Mark got his start in local theater productions. As he entered high school his focus shifted towards sports, and he excelled in wrestling and soccer. Mark attended Georgia Southern University where he was a member of the Sigma Chi Fraternity and graduated with a degree in Accounting. Shortly thereafter his desires turned back to acting, and at the age of 28 he moved to Los Angeles and began studying. While juggling three jobs as a bouncer, waiter, and Pilates instructor, he continued studying and became a member of the Blue Sphere Alliance theater company. After a few small roles and an appearance in a Dixie Chicks video, he got his break in 2002 when he was cast as the rebel-turned- good guy Mike Kasnoff in the long running CBS daytime drama As The World Turns. In 2003, Mark garnered a Soap Opera Digest nomination for outstanding newcomer. While working in New York, he began studying in a two year Meisner program taught by William Esper, and he also attended the Actors Movement Studio. In 2005, he was a presenter at the People's Choice Awards. Mark currently resides in Los Angeles. Nasty Habit: Forever wearing jeans to avoid shaving her legs. Claudia Doumit was born in Sydney, Australia, where she studied at the prestigious National Institute of Dramatic Arts (NIDA), Actors College of Theatre and Television (ACTT), and The Actors Centre Australia. Doumit is also a graduate of The Stella Adler Academy’s two year intensive program in Los Angeles. Recent Stella Adler Theatre credits include: The Seagull (Arkadina), The Marriage of Bette and Boo (Bette), Middletown (Mary Swanson), and Waiting for Godot (Boy). NIDA Theatre credits include: Checking In, Checking Out (Yalda), Radio Hysteria (Professor Ogilvy) Film/TV credits include: ‘Scandal’ (ABC) 'Faking It' (MTV), 'The Hamster Wheel' (Australian Broadcasting Corporation). Nasty Habit: Eating a large pizza by herself. Zoe is so happy to be a part of Nasty Habits cast & crew. She's originally from the middle-of-nowhere Michigan, and just received her BFA from the University of Michigan (GO BLUE!). She's only been in LA three short months, and is excited to make her debut with this web series. While in school, she worked on many plays, as well as films- some of her favorites being Red Noses (Marguerite), Comedy of Errors (Luciana), and References to Salvadore Dali Make me Hot (Gabrielle). At the age of 6 Jennifer Stone began her stage career after many hours of watching her brother rehearse for community theatre productions. Many leading theatrical roles (some award-winning) followed, and when she was 8 she signed with an agency and began auditioning for commercials. Jennifer has currently appeared in several commercials and voice-overs, but her break in came when she was cast as the great-niece of Robert Duvall and Michael Caine in New Line Cinema's Secondhand Lions. Nasty Habits: Googling himself, crying during overly sentimental commercials, peanut butter, cheesecake, singing out loud in random public places. Blaine Vedros is thrilled to be part of Dig with the Nasty Habits gang. Working with Christina, Rico, Joe and the rest of the crew was an honor and a pleasure. He grew up in Houma, Louisiana, has two wonderful parents who are still together, three awesome sisters, and six totally rad nieces and nephews, is a graduate of Louisiana State University, spent several years doing Chicago theater and now lives in Silverlake. Blaine likes the third person, has a beautiful girlfriend named Lilly and is a hell of a cook. Stage credits include Problem Child with Bella Productions, Sissistrata and Four at Celebartion Theatre, A Midsummer Night’s Dream, Inherit the Wind, The Altruists, The Resurrectionists, Charlie Sexboots and Hair at Boxer Rebellions Theatre, Forty Deuce and LeRonde (Trapdoor), A Life (Irish Repertory Theatre), Fun and Nobody (Step Right Up), Blood Wedding(The Hypocrites), Safe Harbor (Chicago Historical Society), The ID and Bob (More Patience Productions) and Burning Blue (Circle Theatre). TV: Sean Saves the World, Hot in Cleveland, Young and the Restless, Hollywood It, Passions, Help Me Help You, Film: Holiday Road, Mooncreek Cemetery, Idol, Nimbus 1 & 2. Molly Tarlov was born and raised in Manhattan, New York City. Her and her sister Jessica were raised to work hard at what they love by their parents Mark and Judy. Molly spent her summers doing theater at Interlochen Center for the Arts in Michigan and at NYU Tisch in Paris. She received a Bachelor of Arts at Bennington College in Vermont where she studied theater, philosophy and English. She completed LAByrinth Theater's Master Class in acting, writing and directing before moving to Los Angeles. Molly has been playing Sadie Saxton on Awkward on MTV for the last five years. During that time she has also been able to participate in other amazing projects such as playing Sophie Darren Stein's "G.B.F". She has appeared in Gravity on Starz, iCarly on Nickelodeon, Huge on ABC Family and has had the pleasure of being part of shorts Era Apocrapha and Boyfriend Season. You can also catch her on the upcoming Season 2 of Nasty Habits. When she's not working Molly enjoys hanging with her Goldendoodle Franny, reading, looking at make-up, and seeing other people's art. Her favorite books include: The Prince of Tides, Franny and Zooey and Who's Afraid of Virginia Woolf. Film/TV Credits include Del Shores’ Southern Baptist Sissies, Disney’s So Random, Austin & Ally, and Shake It Up!, Nickelodeon’s Night of the Living Fred, and Hallmark Movie Channel’s Expecting a Miracle. Theatre credits include LA Drama Critics Circle Award for Best Featured Performance by an Actor, Backstage West Garland Award for Best Actor, and Ovation Nomination for Best Actor for his performance in YELLOW by Del Shores, The Blank’s Young Playwrights Festival (2014 & 2015), The Production Company’s Spring Awakening, Celebration Theatre’s Revolver and Theatre Unleashed’s Friends Like These. Also cohost of the iTunes podcast “Welcome to DeadCast: The Goosebumps Podcast” (about the R.L. Stine series) with over 19K subscribers. Riley Rose Critchlow is an actor and writer originally from Peaks Island, Maine. She graduated from Walnut Hill School for the Performing Arts with a degree in Theatre and went on to receive her BFA in Acting from the University of Southern California. She most recently appeared in Oedipus Machina at the Odyssey Theatre and stars in Julia Max's upcoming indie film, Distortion. Riley is the company director of sketch comedy channel BFT Comedy, and regularly performs with her comedy duo, Mary-Kate and Ashtray. TV credits include: Southland, Video Game High School, Rocket Jump: The Show, and Rizzoli & Isles. Joe received a B.A. in Acting from Cal State Fullerton. TV/Film credits include: The Thundermans, Jane the Virgin, Desperate Housewives, and the upcoming short film Leo Johnson. Also an accomplished singer-songwriter, his two self-titled EP's can be found on iTunes/Spotify. Geffri Maya is an American Actress, Dancer and Singer from Los Angeles, California. Her roots in entertainment began early in dance and theater at the renowned Debbie Allen Dance Academy, where she trained devotedly in various disciplines. Geffri Maya has played in various shows like Everybody Hates Chris, Finding Carter and Shots Fired but is highly recognized for her role as "Maya Bennett" in the hit ABC TV Series Private Practice. Nasty Habits: Leaving dirty peanut butter spoons in her car. Kelley Mack is an actress and producer who grew up in six different states all over the country. Her very first short film The Elephant Garden, in which she was the lead, won an award at the The Tribeca Film Festival in 2008, where she was acclaimed for her performance. She also won her first Acting Award from the Tisch First Run Festival for the film. She later attended Chapman University, from which she received a BFA in Film Production/Cinematography. She now uses her knowledge of working behind the camera to consistently produce her own work—five short films thus far. Soon, you’ll be able to see her as a lead in The Last Room, an independent feature in post production at FOX, and in The Lost and Not Your Average Joe, two short films currently on the festival circuit. You may hear her voice on the radio or online as well—some voice over clients of hers include Anheuser-Busch, Goodwill, and Arco. Nasty Habits: Spazzing out the moment someone wakes me up because I immediately think there is somewhere I gotta be and I’m already late. Originally from Boston, Melina moved to NYC after graduating from Emerson College. In NYC she shot several short films, played the title role in a new play at The New Theater, completed the Upright Citizens Brigade Advanced Study program, performing at various venues with her indie improv team, and performed stand-up at Gotham Comedy Club's New Talent Showcases. Shortly after moving to LA this past January, she has worked on a commercial and the indie feature Witch-Hunt. She is stoked to be a part of Nasty Habits! Danny Barclay has starred in the features Delivery and Traveling Salesman, as well as numerous other short and independent projects. He also recently appeared on Hawaii 5-0 on CBS. In Los Angeles he has been seen onstage with the Theatre at Boston Court, Theatre Banshee, the Sherry Theatre, and the Ark Theatre company. He got his degree in Theatre from Duke University and has been a longtime member of Playhouse West. Nasty Habit: Caffeine and TV. Katie Lee Harper may have been born and raised in St. Louis, Missouri but her heart was always waiting in Los Angeles. Her deep love for TV lead her to realize a dream of producing unforgettable content--the stuff fangirls are made from. She recently started working with The Fine Brothers. Enrico Colantoni was born on February 14, 1963 in Toronto, Ontario, Canada. He is an actor and director, known for Just Shoot Me! (1997), Galaxy Quest (1999) and Veronica Mars (2004). He has been married to Rosanna Francioni since November 11, 2011. They have four children. He was previously married to Nancy Snyder. My name is Devon Werkheiser. I was born in the suburbs of Atlanta, Georgia where, at an early age, I discovered my passion for performing. With the help and support of my family, I followed those passions to Los Angeles where I have spent the last fourteen years pursuing my dreams of making an impact in the world of acting and music. I have made my living doing what I love in television shows and films. Most notably my Nickelodeon show “Ned’s Declassified School Survival Guide” which has a lot of you still calling me Ned. I’m not mad about it. That show was created to actually help kids learn ways to better survive school. I love hearing from people who say it helped them do just that. I am happy to have been a part of something that still has a place in your hearts. Although, I have worked hard to become an actor ready for a long term career. I am equally passionate about music. While acting requires me to get hired by someone else, or put up a scene once a week in acting class, music I can play every single day. I play guitar and sing and have been writing songs since I was fifteen. I am an independent artist with two EPs and two singles, so far. I hope to record a full length album next. I write songs constantly and, lately, I have been putting live performances of them on my YouTube channel. I write songs to express what’s in my heart, in the hopes that it will resonate with you too. Nasty Habit: Delicious milkshakes and dancing really awkwardly. Grant Harvey is a working stiff born in Oceanside and raised in Buellton, California. That's right, known for their Pea Soup and Gas stations. Despite the wealth of action adventure available growing up on Dairyland Road, Grant became more fascinated by his own imagination, and when he finally got around to letting other people in, screenwriting and film-making became his choicest nasty habit. What's better than hanging out with your best friends and playing make believe? He's currently writing two episodes of Nasty Habits and counting, meanwhile working on a few features and shorts of his own. After moving from Texas to New York, Bethany portrayed "Michelle Bauer Santos" on CBS's Guiding Light (1952). When her two year contract ended there, she left New York and moved to Los Angeles and guest starred on shows like Charmed (1998), Felicity (1998) and The Guardian (2001). She also appeared in Los Angeles stage productions of "The Outsiders" - directed by Arthur Allan Seidelman and "Happy Days" (as Pinky Tuscadero) - directed by Garry Marshall. After moving from North Carolina (One Tree Hill), Bethany spent a year raising her daughter Maria before taking any more roles. Although she started an internet rotating novel 'Diamond Gothic' with 'Abigail Spencer' and 'JC Coccoli' on 'Hello Giggles. Bethany came back strong and guest starred on shows like Men at Work (2012) and CSI: Crime Scene Investigation (2000), joined the cast on Sock Monkee Therapy (2013) and Dexter (2006), and got her own TV show Songbyrd (2014). She also joined and performed original songs on Rock the Schools Concert (2012) and recorded several songs in 2012 (Album: 'Then Slowly Grows') and 2013 (Album: 'Your Woman').